According to Sovereignman.com’s blog on four high quality passports to attain, the Singapore passport is the most valuable travel document on the planet, and one that is to be coveted by any discerning global citizen. Singapore topped the list, followed by Brazil, Belgium and Israel. According to the blog, a second citizenship is the ultimate insurance policy as it creates options. Should anything happen in the world, one will have a greater sense of security knowing that one has an alternative place to go. Obtaining a second citizenship, however, requires three things i.e. money, time and flexibility from most people. As second citizenships are out of the budget for most people, obtaining citizenship through more flexible routes provide an extremely rapid path to naturalization. So why is a Singapore passport so highly recommended? First of all, and as mentioned in the Sovereignman blog, a Singaporean passport is valuable because it allows a person to travel virtually anywhere including Europe and the United States without a visa. A person who is at least 21 years old and has been a Singapore Permanent Resident (PR) for at least 2 to 6 years prior to the date of application. Spouse of a Singapore citizen with a minimum of 2-year residence as a Singapore PR and married for at least 2 years preceding the date of application. Child born outside Singapore where at least one parent is a Singapore Citizen. The Singapore PR has the option to apply on his/her own merits though, and may approach ICA for a preliminary assessment interview to check if he/she is eligible for citizenship. But how do you get to be a Singapore PR? One of the easiest ways, as discussed in the Sovereignman blog, is Singapore company registration. If you are not an entrepreneur, fret not. 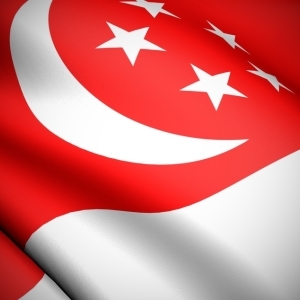 As discussed in our recent blog on securing Singapore permanent residence, professionals who are young, with good educational qualifications and earning well enough to meet the costs of living in Singapore have very good chances of acquiring the Singapore PR status. If you are interested in acquiring or finding out more about Singapore permanent residence, call us at +656320 1888 and let us know how we can help you.